Summer is in full swing here and we have been out & about and very busy this past week! My house is definitely suffering from lack of "attention" but the Lil Divas are having fun and in the end isn't that what really matters? I'd much rather spend the time with them, enjoying laughs and creating memories even if it means the laundry is piled up and things are a little messy. After all, we do not get these moments back - we only get one chance at each day, so we must make the best of each of them while we can. 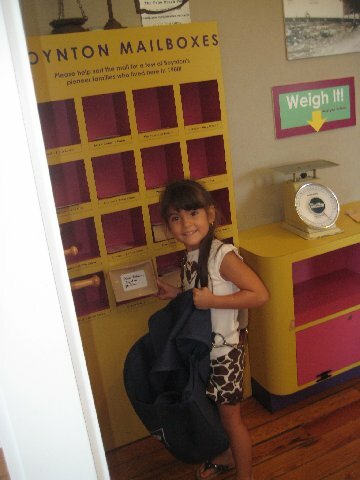 One of the things I LOVE to do with the Lil Diva's is visit hands-on Childrens Museums. There is nothing like taking them to a place which is devoted to letting them touch, explore, create and yes - make a mess! Luckily, we have quite a few wonderful children's museums relatively close by (meaning - they are within an acceptable driving distance). 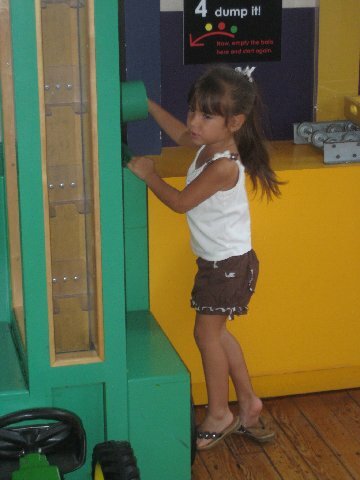 Today, I am going to give you a peek at the Schoolhouse Children's Museum and Learning Center in Boynton Beach, FL. 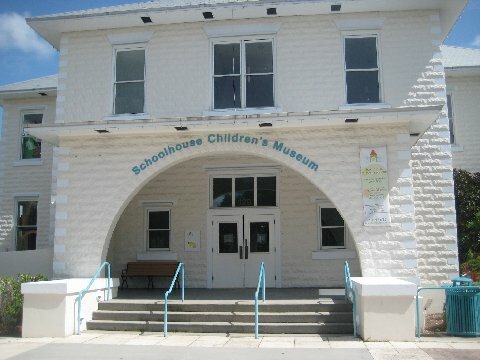 The Schoolhouse Children’s Museum & Learning Center is actually housed in one of the first schools in Boynton Beach. I LOVE that it used to be an old fashioned town schoolhouse! The Schoolhouse Museum is that it is dedicated to showcasing the past. 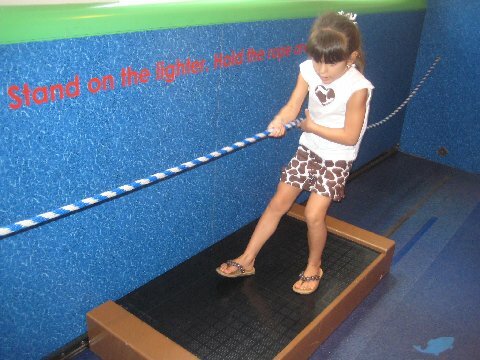 The ultimate goal of their exhibits is to provide an interactive glimpse of life for early Florida Pioneers – before the days of computers, cell phones, televisions or even cars - in a fun, hands-on way. 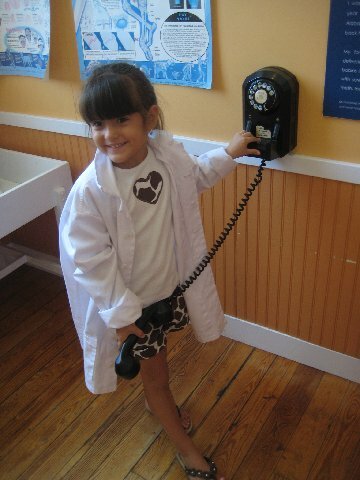 At the Schoolhouse, children are surrounded by child-sized exhibits they can touch, play and interact with which provide them with a historically-based, sensory learning experience of the lives of early Florida Pioneers. The Schoolhouse has 2 floors of exhibits. The First floor is dedicated to "Time Travels" and "Family Farms". At the Dairy Farm children get to experience the farm life from herding and milking a life-sized cow replica to transporting bottled milk in a dairy truck. You can explore the Pepper farm and even experience early 1900's home life in an adorable child-sized farmhouse complete with dress-up clothes and wood stove. The 2nd floor is home of the "Barefoot Mailman" , Aquarium and "Main Street" exhibits - where we usually spend most of our time. 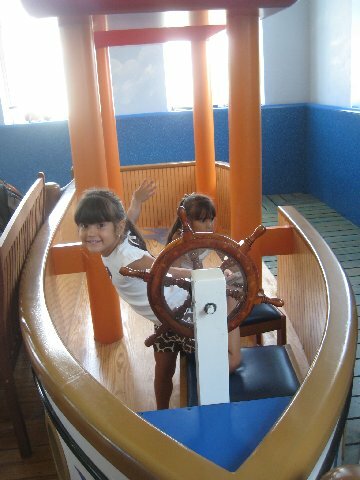 The Lil Divas love the boat and mini playground in the Aquarium exhibit. 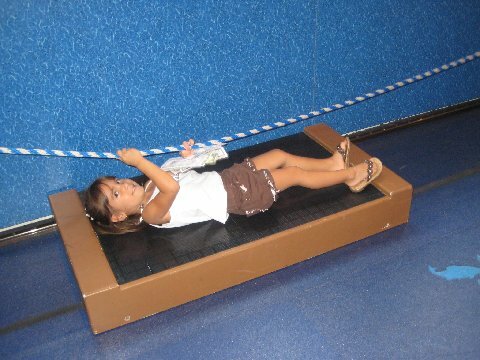 The Main Street exhibit is without a doubt one of the Lil Divas favorite places in the museum. They can stock shelves and sell items in the grocery store, Then there is the Post office experience - what fun to take a letter or package through the mailing & delivery process. 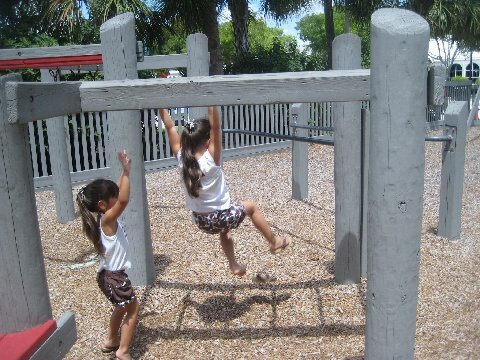 Once your indoor play is done you can step outside and enjoy the playground and maybe even have a picnic lunch. This museum might not be "high tech" but there is definitely lots to do and it is refreshing to let children explore things that are man powered and man made. 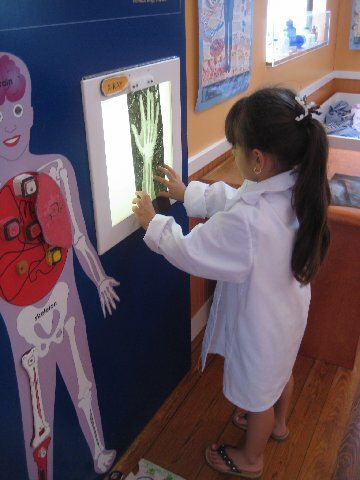 This is defintely one of our local gems for kids! 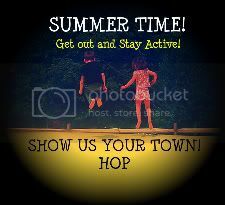 Now, are you ready to join in and share some of your local sights and hometown fun? Great, becasue I am looking forward to seeing all of the fun places you guys will share! Be sure to grab the button so you don't forget to check in on all the excitement and share yours with us every Friday-Saturday all summer long! Very cool! 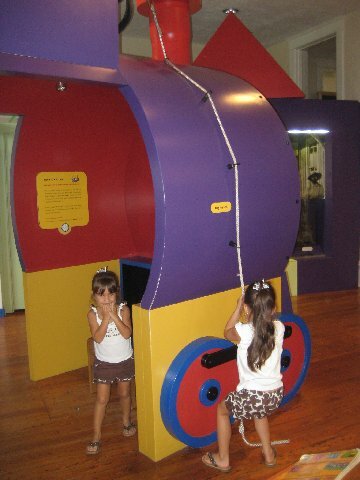 We have a children's museum here too(Cleveland). But, I love that y'all's (<--LOL) has the pioneer stuff too. I was born and raised in Central FL. I would love to see the FL pioneer stuff!! I'm gonna be home(FL) in 4 days. Yippee!! What a fun place to visit. My kids would definitely love the post office, store, and doctor places the best. What a great idea to have so many hands-on things to do. Thank you so much for sharing and posting the cute pics of your girls. 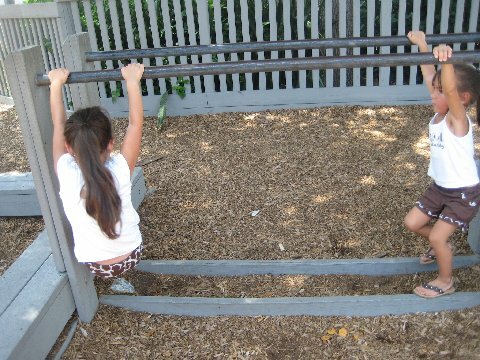 Oh my gosh, that looks like so much fun! I love that it's all about history...my husband and I are big history geeks so we'd probably love this more than the kids. I'm bookmarking this for our next trip to FL! This place looks like a ton of fun- especially the doctor part. 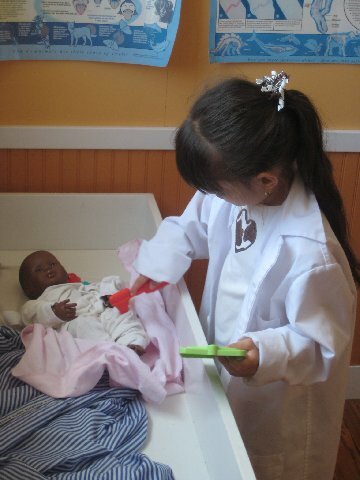 Kids do love to pretend. We have been having way more fun outside the home than usual, too. One thing that's nice about it is that the house doesn't get too much messier without us being home.